You are here: Home / Articles / What’s the Best Way to Start Marketing with Video? What’s the Best Way to Start Marketing with Video? When companies see the publicity of viral videos like Evian roller babies for consumers or BtoB successes like Cisco’s The Future of Shopping, they often get the urge to jump in to the video marketing game themselves. But where to start? We get asked this kind of question a lot at TopRank and the ideal situation from a marketing performance perspective is when the company understands what they want to achieve through video marketing. It’s essential to start with a position statement like: Company 123 wants to achieve X goal and thinks Y video marketing tactic makes the most sense because of Z research and observations. It’s also important to describe expected outcomes and timeframes. Is the video marketing effort focused on selling products? (Hint: that rarely succeeds at the start) Maybe video is a great way to communicate thought leadership, educate prospects, communicate with customers or provide content for bloggers and the media. Whatever the expected outcome is, try to describe it and be ready to adapt it. Tactically, a YouTube channel takes an experienced marketer about an hour to setup. In that way, it’s not unlike setting up a basic blog. But what makes a YouTube channel work (assuming a YouTube channel is the right implementation of your video marketing strategy) goes far beyond the channel page itself. YouTube is the second most popular search engine and has many social networking features. Videos can show in standard search results like Google and can easily be embedded on other websites and blogs. RSS distribution, integration with other social channels like Twitter and Facebook plus native messaging features all combine to provide abundant promotion opportunities for your videos. While you can simply test videos out with a limited audience to get a feel for format and structure, it’s very useful to create an editorial plan for your videos including topics, schedule, keywords, promotion channels, repurposing and measures of success. 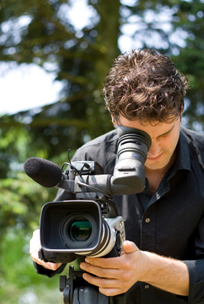 Tests can be shot on any video camera and shared internally to get response. Once you’re comfortable with a format, you can start publishing and promoting videos publicly. Google Account setup – This is required for YouTube. The Google account can have its own profile and be connected to other social sites, link to a blog etc. Grow your video social network: YouTube has a social networking component, so some time connecting with other channels (subscribing, friending) would help grow the subscriber base for your YouTube channel. Optimize: When each video is uploaded, there are numerous choices that can be made about how to optimize. Title, tags, description and ongoing the creation/maintenance of playlists. Playlists can include other people’s videos too, so if you wanted to make an authoritative source for a particular topic, you could include a few of your own videos as well as videos from others that are not competitive. Videos are ranked by keywords, ratings, comments and number of views. Encourage those behaviors and leverage titles and tags from other videos that are already ranking high on your topics for inspiration of your own. Promote: Leverage your other social media channels like Twitter, LinkedIn, Facebook and blog to promote videos. Measure: YouTube provides metrics as do services like tubemogul.com. Also look at links and mentions of your videos in other social channels through Google Alerts or a social media monitoring service. Look at web analytics for referring traffic from these sources as well. To get started with video marketing, check out what’s already successful in your topic and keyword categories. Look at the format, structure and content flavor. What are they doing that’s working well? What are the missed opportunities? What do you have to offer that’s unique and interesting? Who are the influential video publishers in your category? Who are the influential bloggers? Understand what your goals are, what your customer needs are and become familiar with relevant video channels so you can test and develop a format that’s workable. Then adapt your content to scale what’s working the best towards meeting customer needs and your own business goals.